Mel just got back from a relaxing and beautiful (and warm) vacation in Hawaii. While preparing for her trip, narrowing down the choices for the perfect poolside swimsuit was made easy by Shan. She brought along her low plunge black full piece and wow, it was the right choice (don’t you agree?). She loved the halter because it gave her some length and offered great support with the hidden underwire. But more than that, Mel loved that the cut in the leg wasn’t too high, which gave her a little more coverage and comfort. Shan’s silky soft fabric gives a sleek look with a light weight fabric. 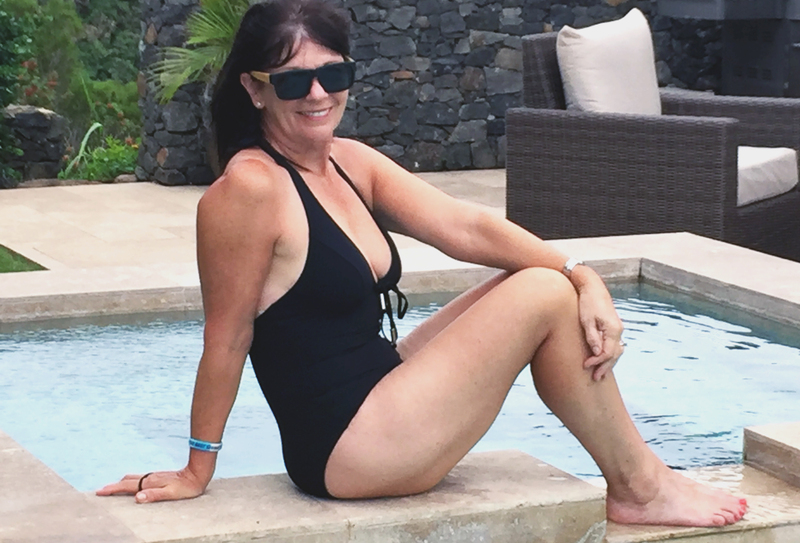 It’s the perfect black swimsuit for any holiday! Want to get the look? Give us a call at 416-485-0576 or book an appointment online.